At the Fairgrounds in the Risen Star Stakes Intense Holiday was unruly in the Paddock, but gracefully held his ground mid-pack through the race with a solid ride by Mike Smith. Albano, guided by Kerwin D. Clark was superb on the front end. He ran a brilliant ride and gutted pretty much everyone who tried to run with him. Rosie Napravnik onboard Vicar’s in Trouble made a sweeping move around the far turn and Intense Holiday followed his track as the contenders separated from the rest of the field. In the final furlong Intense Holiday with a thrilling late run came charging from the outside as 5/2 favorite Vicar’s in Trouble fell to third. The son of Harlan’s Holiday took advantage of the long Fairground’s stretch and wore-down pacesetter Albano to nose him at the wire, for a photo finish. Vicar’s in Trouble who finished 3rd out of the difficult 13 hole, had to be used early by Rosie Napravnik to gain position. He rated; tried his best, but flattened out in the stretch run and was beat by 5 ½ lengths in a very credible performance. There are lots of great sprinters out there and when given the right circumstances; can successfully stretch out to a mile and a sixteenth, and Wildcat Red is a great example. All of Wildcat Red’s wins have been at a sprint distance and the Fountain of Youth was his first time stretching out to 2 turns. Bred to be a sprinter he is the son of champion grade 1 winning sprinter D’wildcat. His broodmare sire Miner’s Mark, son of the great Personal Ensign won the 1 ¼ Jockey’s Club Gold Cup (gr.1) and placed in the Travers Stakes (gr.1). So although stamina may not be prevalent in his pedigree, we may never know if the amount he has from the broodmare’s sire could influence his running style. Whether you agree to his questionable stamina; he has earned a hard-fought victory and sits second in the current leaderboard with 50 points. He has won 2 graded stakes win in a matter of 3 weeks, and up until his last win in the Hutcheson (gr.2), had tended to drift off while running. Since then, he’s kept a straight path and seems to possess a very competitive nature and will to win. The Fountain of Youth started off with a fast opening quarter at 23 flat as Wildcat Red and Luis Saez took the early lead. General a Rod engaged in early battle, as both jockeys appeared as if they were riding in a 5 furlong race! Locked in battle only noses apart from the lead; the half-mile went 46.1 around the far turn. As the two headed for home, Javier Castellano onboard Top Billing made his move going 3-wide blowing by horses from 10 lengths back and was sent after the fighting duo. Unable to engage after making up that tremendous ground, he fell to 3rd in the final sixteenth. He has an explosive turn of foot, but had no real chance of catching the speedy duo who continued going neck and neck in a desperate fight to the finish. Much to General a Rod’s dismay, Wildcat Red’s composure would not fold. Fighting tooth and nail, both colts crossed the wire together in a head-bobbing finish and General a Rod bit the bullet as Wildcat Red won by a head bob in a photo finish! Now whether you agree with this comment and feel that the track carried these speedy colts to victory; you cannot deny the heart and competiveness of these brilliant colts. Time will tell and eventually reveal who will sustain on the road to the Kentucky Derby where hopes and dreams are made. This weekend continues the Championship Series with two NY rivals hooking up in the Gotham Stakes (gr.2). Uncle Sigh will once again meet up with Samraat who carries a perfect record in 4 career starts; which includes 3 straight wins at Aqueduct, with two scores coming in 2 turn stakes races on the inner track. An awesome field of 11 hopefuls will be covering a mile an sixteenth in the $500,000 Gotham Stakes at Aqueduct Racetrack this Saturday. Accomplished juvenile Havana will be making his 3-year old debut in the Swale Stakes (gr.2), cutting back to 7 furlong for his first start in 4 months. A group of seven 3-year olds will be gracing the field for the $200,000 Swale Stakes at Gulfstream Park. If you’d like to get in on the excitement of the Championship Series join in on the Derby Dollars Contest. The contest is free and continues over the next ten weeks of Derby qualifying events and culminate on May 3 with the Kentucky Derby. Participants build bankrolls based on mythical “across the board” (win-place-show) bets on your picks in each designated race. It’s a fun way to follow the 3-year olds and win prizes at the same time. It’s hard to pick winners, but so far, I’ve picked both winners of the Risen Star Stakes and Fountain of Youth! Lets see how well I can continue this roll. Read more about the contest here. 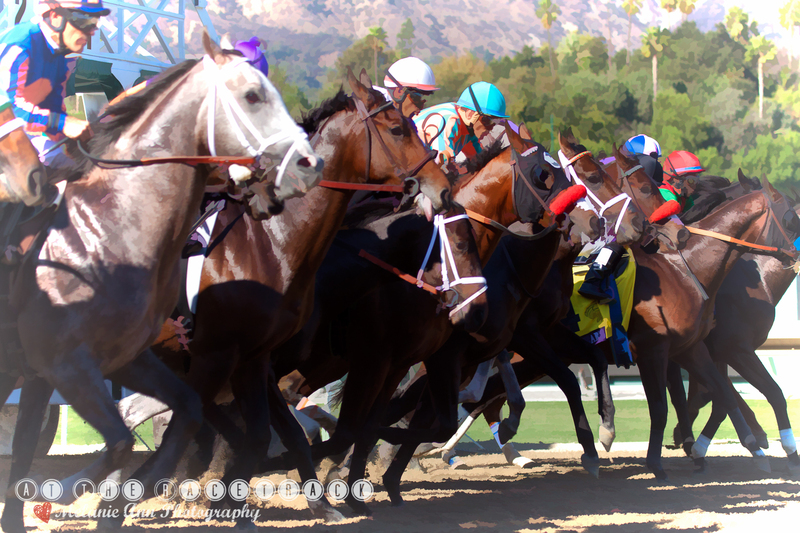 ← Holy Bull… It’s That Time Of The Year In Horse Racing!